InBody, a Korean company that specialises in professional body composition analysers (those super-detailed scales you see in posh gym changing rooms), has entered the wearable world with the launch of the InBody Band. 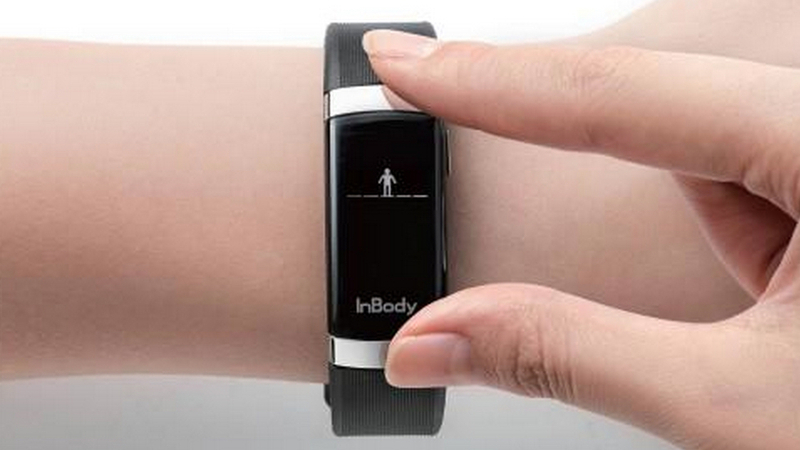 Unveiled at CES 2015, the InBody Band is a fitness tracker that offers body analysing on the fly. It's capable of telling you your fat and muscle mass, body fat percentage, heart rate and body mass index. It does this using its setup of four sensors - two up front and two on the rear. You simply place your fingers on the front-facing sensors and, combined with the data from your wrist, you'll get a reading. The Jawbone UP3 will offer a similar set of measurements although InBand told us that its 20+ years in the area gave it an advantage over its rivals. We were shown the Band in action and the results were displayed within about 5-10 seconds, although we obviously can't comment on the accuracy at the moment. The InBody Band is a fairly chunky device that can also track activities and sleep using its 3D accelerometer sensor, and the app (iOS and Android) offers features like goal setting, smart alarms and rankings. As well as the Band, the company was also demoing the sleeker InBody InLab wearable over in Vegas - a basic fitness band that looks a lot like the UP3. The InBody Band will set you back $179 when it goes on sale in March. UK pricing and availability is still to be confirmed. There are no details on the InLab tracker as of yet. Wareable is reporting live from the trade-show floors of CES 2015 - check out our dedicated CES homepage for all the news and first-look reviews from the Vegas expo.